Great Sized Home-Very Large Outbuilding- and almost 20 Acres For Sale. VERY Important-this is Lot "B" (19.08 acres) that is for sale and what was recently subdivided Property.Address of newly built home is 11260 WCR 49. 36 original acres were purchased and subdivided and both lots are now being sold separately. Lot "B" is larger of the parcels & has a Newly built modular home & 1500 sq outbuilding/garage both of which are on New Foundations, New Elec to Lot, New Propane tank 3/4 full, New 300' water well, New Wiring, New Plumbing, New Septic/Leech, New Windows, New Siding, New Roof, New REAL Hardwood floors, New Carpet its a New home!!! Outbuilding is MASSIVE has drive thru doors & multiple garage doors/bays. Weld Cnty rules & regs in regards to livestock & zoning usage. Mineral rights ARE negotiable w/purchase but not included, with exception to the oil rights which have been leased. NOTE to Buyers & Brokers the tax PIN in MLS is for original 36 acre parcel until Cnty updates system. 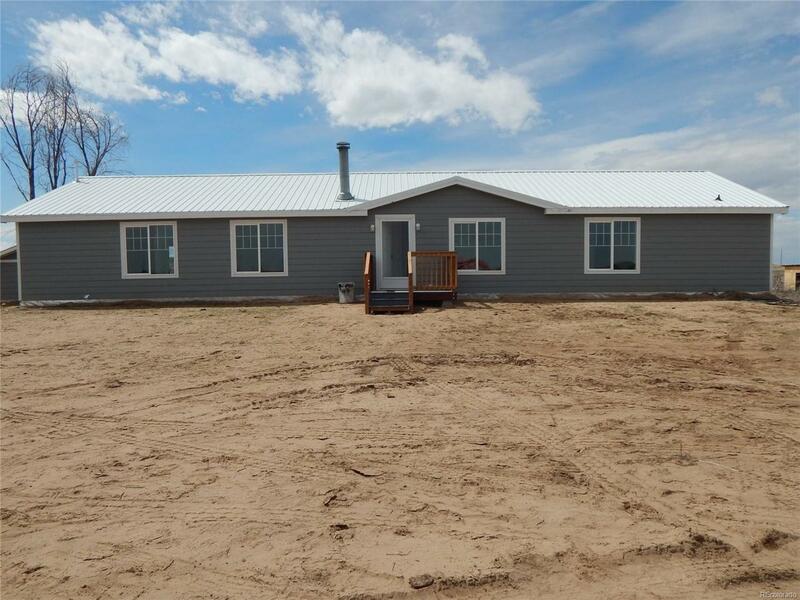 Offered by 5280 Realty, Inc.